“A professional, trained and certified in Geriatric Care Management, can help clients navigate sometimes complicated decisions and schedules involving non-medical home care, long-term care placement, clinical care, insurance, legal documents and long-term planning – not to mention unforeseen events. As the bridge between formal and informal care networks, a Geriatric Care Manager can help develop an “integrated service plan” that respects to the greatest degree possible, the abilities and preferences of the senior and his or her family,” Donovan explained. “We will complete a face to face assessment of your loved one’s cognitive and functional capabilities and limitations. We also assess his/her formal and informal support systems and environment. A written care plan is developed, based on the results of the assessment, including goals and a timeline for their completion. After the plan is implemented, we monitor the loved one’s progress and make the necessary adjustments to the plan. We will always include the senior’s input though the entire process, if possible,” she continued. Donovan founded Chicago Senior Living Advisors in 2006 after serving as the admissions director of a faith-based continuing care facility in Niles. Over the intervening years, Donovan has toured and carefully evaluated over 450 Chicago area senior care facilities and has accumulated a huge bank of information from which she can draw to find an appropriate situation for every senior she assesses. “There is something for everyone, but it may not necessarily be exactly what they want, but it will be what they need and can afford,” she explained. “This is a Federal program that is administered by the state. It seems like one of the best kept secrets of senior care. I am always shocked when I ask a crowd who knows about it and no one does,” Donovan said. “I am usually hired by a senior’s child or out-of-state power of attorney (like a niece or nephew) who is too busy to research options for their parent/senior relative and since I am a certified geriatric care manager, I am able to evaluate more than just housing options,” she explained. Some people absolutely want to stay in their own home, so I can order the appropriate services into the home. I can help with paperwork like filing claims. I can check up to make sure that necessary supplies are being delivered and I can do the grocery shopping. I can even accompany the senior to doctor appointments,” she detailed. And if something comes up that is not Donovan’s forte, she has no problem with finding another expert who can handle the challenge, like applying for the Veterans Affairs’s Aid and Attendance benefit. “When I started the business, my clients were mostly my age, but I have aged and so has everyone else, so most of my clients today are younger than me. But they have the same concerns and issues as their predecessors did and usually that largely involves finances. They need to find the best situation to fit their loved one’s financial situation,” Donovan explained. “I am a big believer in moving elderly people only once, because it is emotionally taxing for the senior. 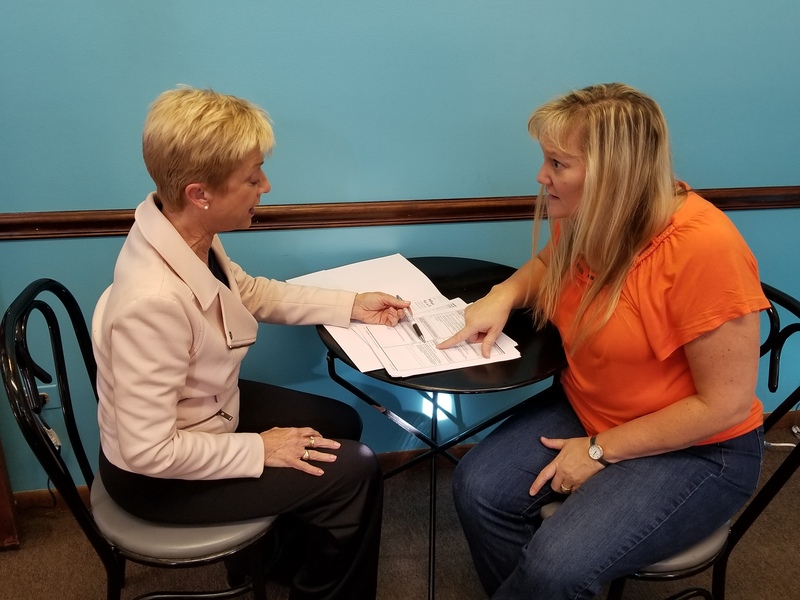 So I am an advocate of continuing care housing situations that can accommodate all levels of care, from independent living to assisted living and then skilled nursing, and see them through all of their end-of-life issues,” she said. This article appeared in Senior Transitions, A product of Niche Publications, a division of Daily Herald Sunday November 19, 2017.